Report based on poll of more than 3,000 British adults, qualitative focus group and industry consultation shows: Low consumer awareness and understanding of smart meters | Visibility and control of energy use seen as key benefits but scepticism over cost savings | Security and privacy concerns must be addressed. The concept of a smart home, where consumers can remotely manage their home appliances such as lights, heating, oven, TV and more, will be crucial to selling the benefits of smart meters to consumers. That is the finding of a new report by O2, the commercial brand of Telefónica UK. The report is based on a YouGov poll of more than 3,000 GB adults, a consumer focus group and consultation with industry leaders, which highlights the importance of ongoing consumer engagement when rolling out the multi-billion pound smart meter programme. Take a look at the striking findings here. In one of the largest national infrastructure projects of recent times, the Government is aiming to ensure every home and small business in Great Britain is equipped with a smart meter by 2019. A smart meter will display the amount of energy used in pounds and pence allowing consumers to better understand and therefore manage their energy usage and related costs. The communication hub located within the smart meter will have the potential to create a home area network, acting as a gateway to future services in a connected home, such as remotely managing household appliances, heating systems, home security systems and even new eHealth services for managing chronic conditions. The research found that there is currently a low level of consumer awareness with 63 percent of those surveyed not knowing what a smart meter is. Although when the concept was explained, respondents cited greater visibility (77 percent) and an end to estimated bills (73 percent) as the top two reasons in favour of a smart meter. 64 percent expect that more visibility into their energy usage would help them change behaviour in a way which could reduce their consumption. Analysts predict that we’ll have anywhere from 15 to 30 appliances and devices connected to a home network in the smart home of the future. The smart meter is just one of these and it will provide the foundation to allow consumers to interact with their homes in a completely new way. Both the YouGov survey and a consumer focus group organised by Telefónica showed that the smart home is an appealing concept for consumers. 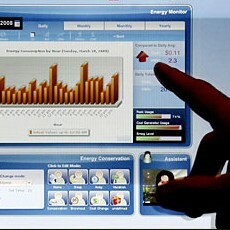 60 percent of those surveyed by YouGov said that the smart home makes smart meters a more appealing proposition. By contrast, the prospect of energy price reduction is less of an appeal. Only 23 percent of those surveyed felt that energy prices would drop and only 18 percent would be motivated to switch to a smart meter if the annual cost savings were £50 or less. The Mumsnet focus group took place over two weeks, from the 9th – 23rd August 2012 and members of the research panel were invited to take part via a discussion thread which attracted more than 130 posts. The report highlights data privacy (59 percent), accuracy of billing (32 percent) and the installation process (28 percent) as the most important concerns that need to be addressed through any consumer engagement process. Telefónica UK, which operates the O2 brand in the UK, is bidding to be a communications service provider in the government’s smart metering implementation programme (SMIP). It commissioned the research to help all parties involved better understand consumer attitudes towards smart meters and inform thinking around how best to engage with them to ensure a successful rollout. The report combines data from a quantitative survey of more than 3,000 GB adults carried out by YouGov in March 2013* with in-depth responses from a representative consumer focus group which featured a cross section of nine energy bill payers and took place in London on 13th March 2013. These findings are complemented by input from Mumsnet as well as insights on global smart meter trials by the European Smart Metering Industry Group. * All figures, unless otherwise stated, are from YouGov Plc. Total sample size was 3060 adults. Fieldwork was undertaken between 19th-21st February 2013. The survey was carried out online. The figures have been weighted and are representative of all GB adults (aged 18+). O2 is the commercial brand of Telefónica UK Limited and is a leading communications company with over 23 million customers – read more about O2 at www.o2.co.uk/news. O2 runs 2G and 3G networks and was the first to pilot 4G/LTE, reaching speeds of over 100Mpbs, as well as owning half of Tesco Mobile. It also operates O2 Wifi, O2 Health, O2 Unify, O2 Media and has recently launched the O2 Wallet. O2 employs over 11,000 people in the UK, has 450 retail stores and sponsors The O2, O2 Academy venues and the England rugby team.